Nearly 7 years after the tragic earthquake, Seeds of Learning is hosting its 7th Annual Fundraising Dinner in an effort to continue the momentum of hope and change that overpowers the destruction and devastation left behind. 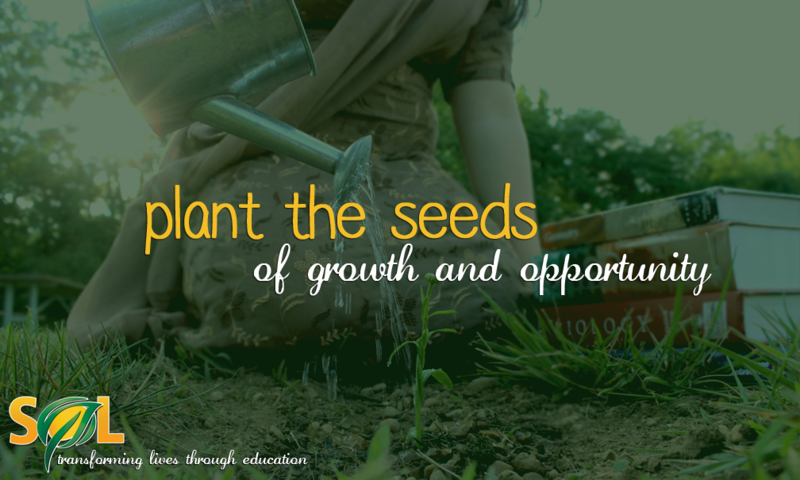 Follow the journey as we explore the mission, vision and history of Seeds of Learning in this 4-part blog series. Read Part 1 here and Part 2 here. “We wanted to build schools that we were comfortable sending our kids to,” Azher Khan, Seeds of Learning Board President. The remote community that the Campus of Hope serves has been characterized by extreme poverty and limited access to quality education. After the earthquake destroyed much of the infrastructure, including an elementary school, Seeds of Learning began a project to build a new school in its place. Classes were originally held in tents until construction began on the building in 2006. Today, the Campus of Hope provides not only a quality education to students, but a vast amount of opportunities for its teachers as well. All school administrators receive extensive training and education, and many come from a military background and are skilled with maximizing input with a minimum amount of resources; additionally, the teaching staff is all female, allowing parents from the conservative community to feel comfortable with sending their daughters to school. To accommodate the teachers, the Campus of Hope has vans available for their daily transportation to and from the school. To learn more about the impact of the Campus of Hope on Chittar Plains, view the short documentary below or by visiting www.youtube.com/SeedsofLearningHope.